A man who owned the rights to buy the property behind Mark Zuckerberg's house is suing the Facebook founder for failing to live up to his promises. Zuckerberg's lawyers are calling it extortion. Mircea Voskerician, a real estate developer who had owned the rights to property adjoining Zuckerberg's backyard in 2012, had planned to start construction on a new mansion, according to court documents. Instead, Voskerician offered to sell his interest in the land so the Facebook (FB) CEO could gain more privacy. Zuckerberg opted to buy the rights, offering about $250,000. Voskerician rejected that deal. After receiving a $4.3 million offer from another developer, Voskerician met with Zuckerberg's financial advisors. In the end, Voskerician says he agreed to sell for $1.7 million "plus [Mr. Zuckerberg's] promises of personal referrals and business promotion activities" -- promises Voskerician claims Zuckerberg hasn't kept. Zuckerberg's attorneys say there were never any concrete promises made, and Voskerician is using "extortive" measures, according to a Bloomberg report. If the agreement was made, one could say that a vote of confidence from one of the world's biggest tech leaders is worth almost $3 million. A trial date in a California state court is scheduled to be set next month. Facebook and an attorney representing Voskerican did not respond to requests for comment. 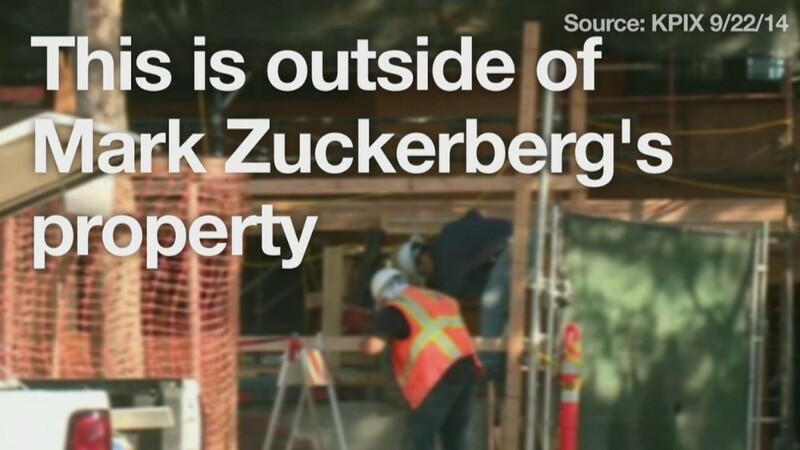 Clarification: An earlier version of this story said that the developer had sold the property to Mark Zuckerberg. In fact, he had sold his rights to buy that property.